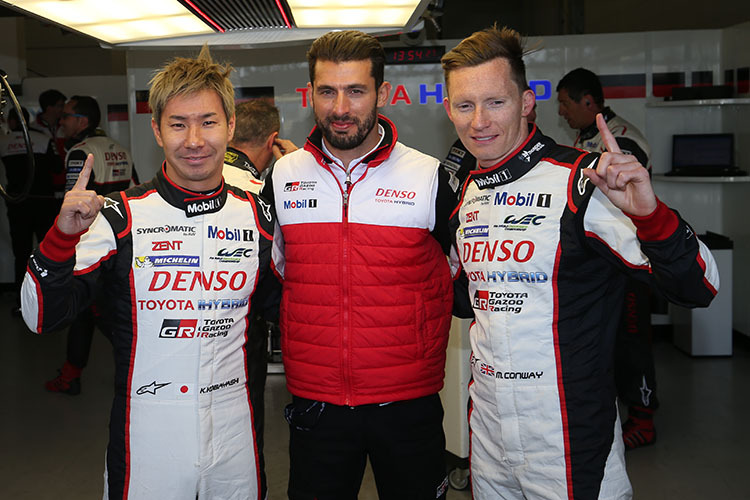 Kamui Kobayashi blitzed LMP1 qualifying to firmly anchor Toyota Gazoo Racing’s front row lockout for tomorrow’s 6 Hours of Silverstone, the first time since Bahrain in 2013 the marquee has held that honour. Trading sector times with Porsche’s Brendan Hartley early in the 20 minutes session, the #2 Porsche 919 was nevertheless unable to defend against the #7 TS050, the Japanese driver first delivering a time of 1:37.639 before finding an extra second with a thoroughly dialled in 1:36.793 in clear air. 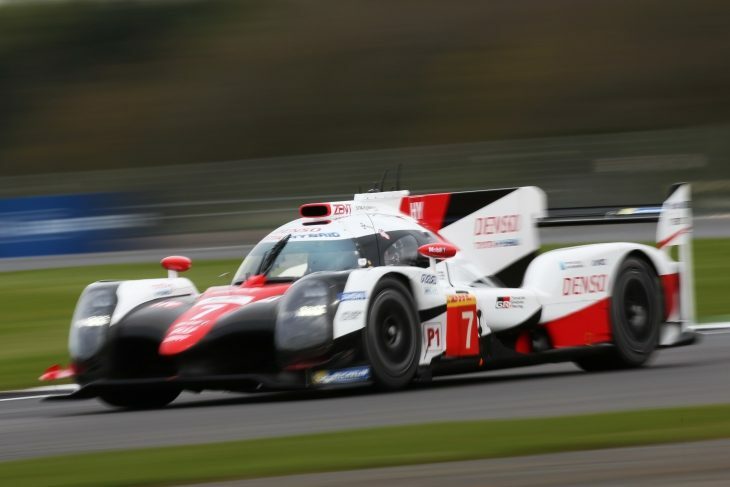 As times were posted by the elected second drivers, the #7 car had dropped to fourth place on aggregate before British driver Mike Conway capitalised on this exceptional form to firmly nail the #7 car back on Pole with a late 1:37.8 to deliver the best average. Anthony Davidson, Sebastien Buemi and Kazuki Nakajima’s #8 Toyota will share the front row, less than three tenths off the pole aggregate. 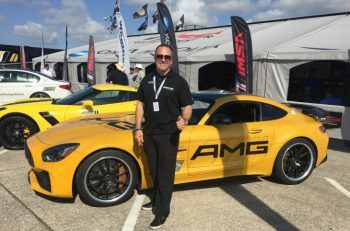 “I am happy to get pole,” Conway said. “It’s a strong start. Hopefully we can keep that pace in the race but it will not be an easy battle I’m sure. Third and fourth, Porsche had no response to this; their elected low downforce set-up unable to get within two seconds of Toyota’s pace around Silverstone’s sharp changes of direction. The #1 919 of Neel Jani Andre Lotterer and Nick Tandy will start third, the sister #2 car of half a second off in fourth. 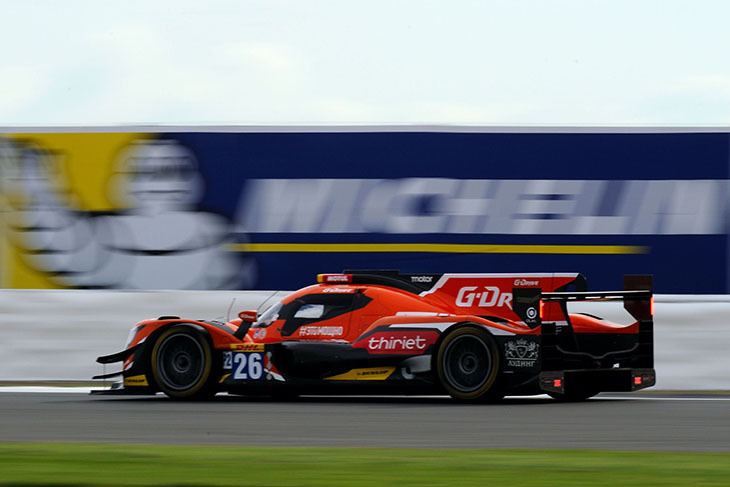 In LMP2, Alex Lynn and Pierre Thiriet steered G-Drive Racing to class Pole with a 1#44.387s average time, the pair both setting impressive times. The Signatech Alpine meanwhile ended up just four-hundreths off the best time in second, with Nicolas Lapierre and Matt Rao combining for the reigning champion’s average. Rounding out the top three was the #38 Jackie Chan DC Racing Oreca, with the two Vailiante Rebellion Orecas making up the two remaining top-five spots. 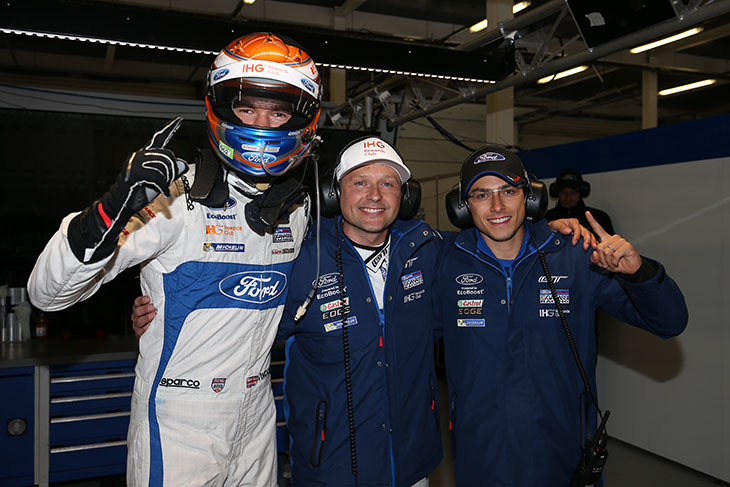 GTE Pro saw Harry Tincknell and Andy Priaulx combine for pole in the #67 Ford Chip Ganassi UK GT, with a 1:59.202 average, giving the pair the top spot for their home race. AF Corse’s #71 Ferrari 488 GTE of Sam Bird and Davide Rigon ended up second, just under a second off the pole time. 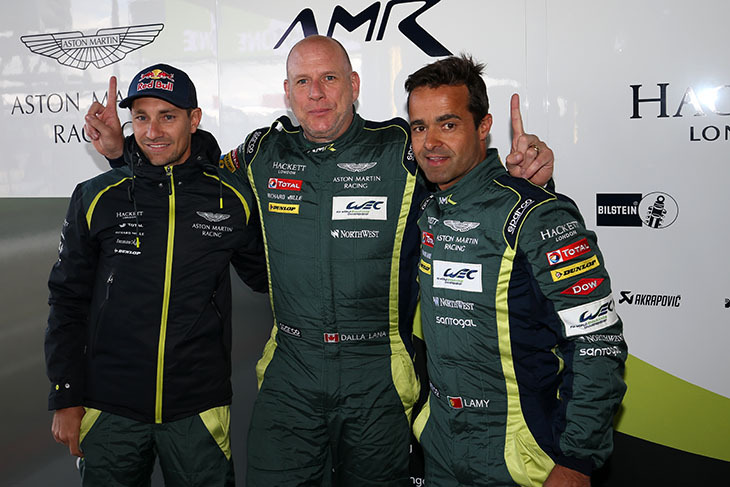 Third was taken by 2016 FIA WEC GTE Pro champions Nicki Thiim and Marco Sorensen in the #95 ‘Dane Train’ Aston Martin Vantage, making it three manufacturers in the top three. The second-string Ford GT was docked a quick lap after Stefan Mücke was deemed to have exceeded track limits at Copse. Interestingly, the sharp looking new Porsche 911 RSR’s only managed to occupy the last two places of the GTE-Pro order. Down in GTE Am, Canadian Paul Dalla Lana and Pedro Lamy set an average lap time of 1:59.562 to put the #98 Aston Martin Racing Vantage on pole in the new-look class. It was a hard for result for the British team, taking pole on home soil. 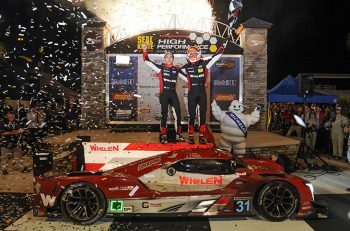 “We wanted to start off on the right foot and I was careful to keep the pace and out of trouble,” explained the affable Canadian after stepping in after team mate Lamy’s early pace. The #54 Spirit of Race Ferrari 488 and the #77 Dempsey-Proton Porsche will line up second and third behind. Tomorrow’s Six Hours of Silverstone, is set to begin at 12:00pm local time at Silverstone.